All birds and exotic pets need to be seen annually for a wellness exam, and we tailor our wellness exams to meet their health needs. The best treatment for any disorder is to catch it early, before your bird or exotic pet is showing any signs of illness. 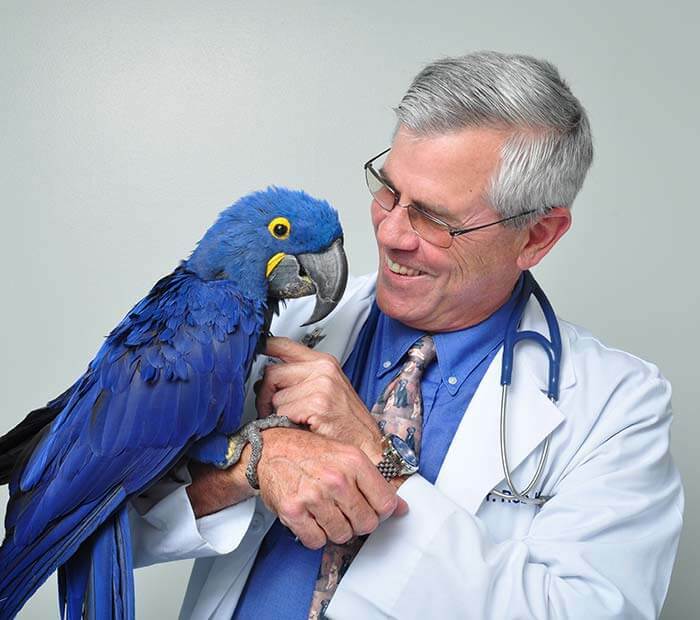 An annual exam gives us the opportunity to ensure that your bird or exotic pet is healthy and have baseline records and baseline blood values for future reference in the event that your pet is ever sick. An annual exam gives you one-on-one time with us so we can answer all of your health and behavior questions. We can offer many solutions concerning behavior, environment and tips to enrich your pet's life using food, toys and other items. To ensure your pet's health, since they are masters at hiding signs of illness. New birds coming from a pet store or breeder may be carrying a variety of viruses or bacterial pathogens that are not causing an active problem but may be transmitted to other birds or pets. Many boarding facilities (including ours) will require that all birds, reptiles, and other exotic pets have been tested for specific diseases to ensure safe boarding for all pets. Winter Park Veterinary Hospital is equipped with state-of-the-art equipment so that we may offer the very best care for your pet, including digital x-ray equipment, blood chemistry analyzer and ultrasound equipment. If hospitalization is required for your pet, we always have two dedicated veterinary technicians available during office hours to monitor our patients and administer their required treatments promptly and effectively. Birds are maintained in separate specially equipped wards to minimize stress. In addition, we have multiple oxygenized incubators to maintain body temperature while increasing the level of oxygen they receive during this important healing times. their stay. This is an easy procedure that can be done in-office without anesthesia. Microchipping is the safest permanent identification. Leg bands are dangerous and can be life-threatening if entangled. For more information about microchipping, please click on the microchipping page under “general medicine”. We recognize that coming to the hospital can be a stressful experience for any pet, particularly our bird patients. We are very sensitive to this fact and do whatever we can to limit this stress. Your bird may be more comfortable in a quiet, dark place for traveling, so talk to us about the appropriate carrier for your size and type of bird. If possible, acclimate your bird to his bird carrier prior to your visit with us. Our veterinarians and staff are highly skilled at treating and caring for many types of pets and are pleased to be able to offer care, behavioral advice and guidance. Please give us a call today to set up an appointment for your special pet.